Because the objective of your strategy is to achieve an ambition and most probably a financial ambition. Whether you are a startup or a stock listed company, you have to achieve a financial ambition if you want to stay in business. Thus first hypothesis is to have a financial ambition and preferably S.M.A.R.T. one. Then let's imagine, you don't do any strategy and you let the business in free wheel (no plan). Most probably you will face problems and situations (external or internal) that will block you to achieve your ambition. 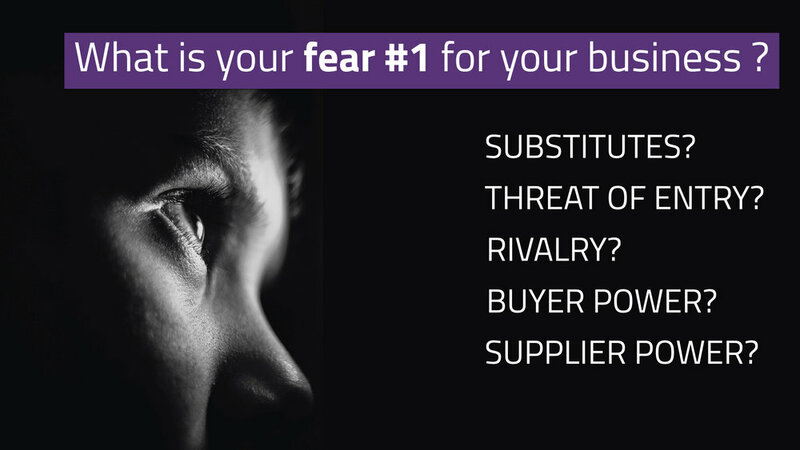 I suggest that you highlight the biggest problem, your #1 fear for your business. Thus second hypothesis is that you need to define your biggest fear as the context where you will do your strategy. HOW CAN I (FINANCIAL AMBITION) IN (TOP #1 FEAR) ?